In this class, Wei-Yen Chang will share diagnostic and treatment methods for anxiety from both the Western and Traditional Chinese Medicine perspective. He will discuss specific diagnostic measures for anxiety as well as share clinically relevant herbs and formulas indicated for the condition. In Part I of this two part class, Dr. Chang focuses on the “Inward, Depressed-Yin-type” of anxiety. 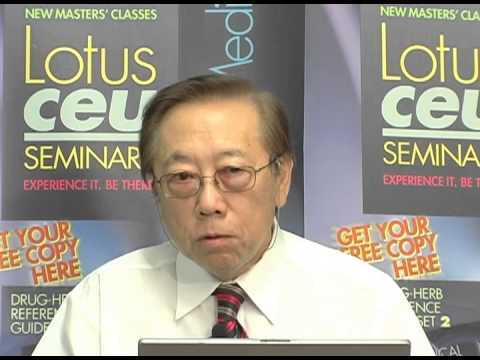 Dr. Chang will first give an introduction of anxiety from the Western Medicine perspective and then go onto an introduction from the Chinese Medicine perspective. After introducing the two types of anxiety in Chinese Medicine, Dr. Chang will focus on the yin-type anxiety and discuss the general pulse sign, TCM differentiation and diagnosis, and herbal treatment for each differentiation.